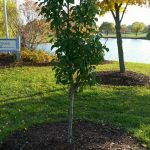 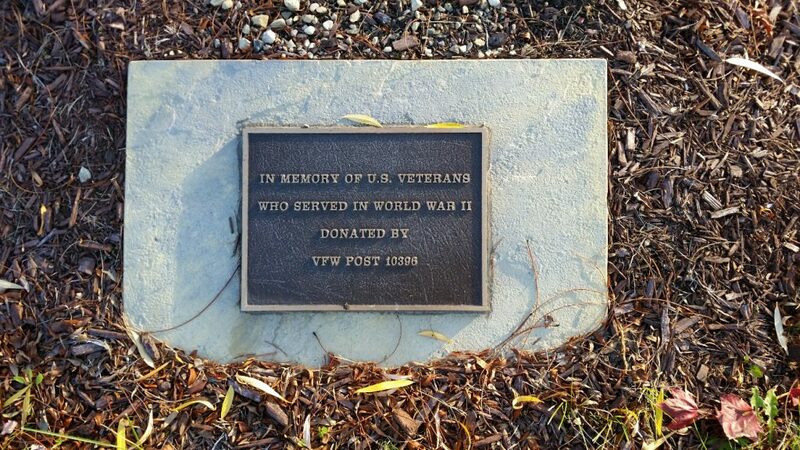 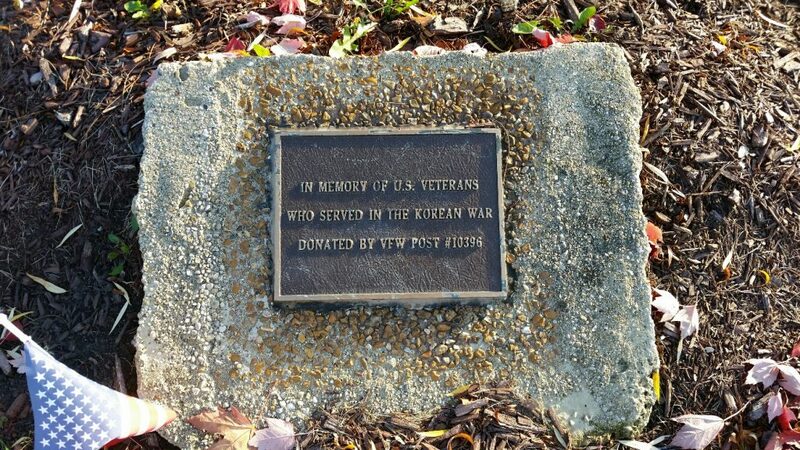 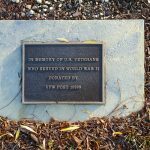 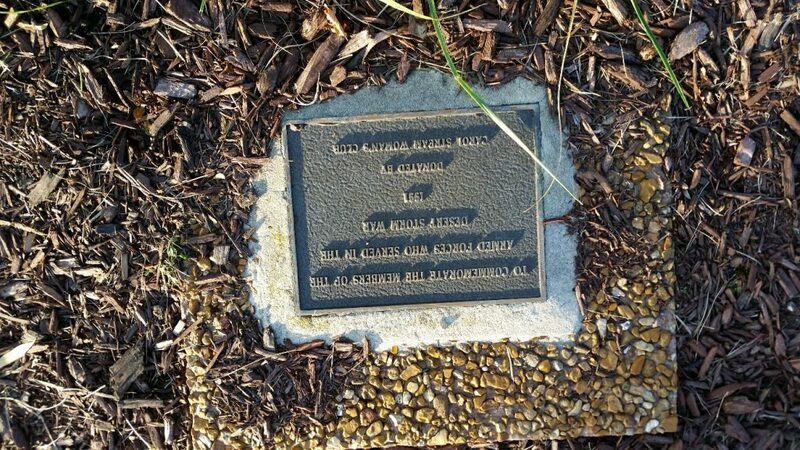 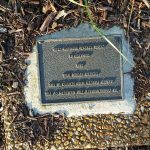 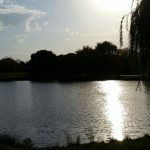 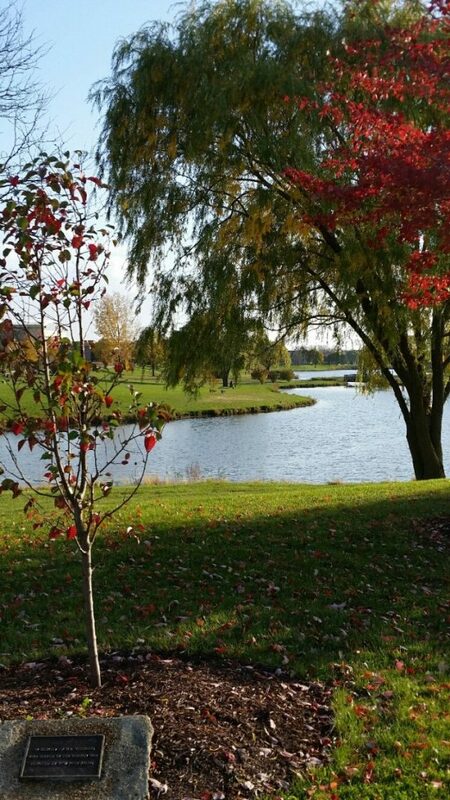 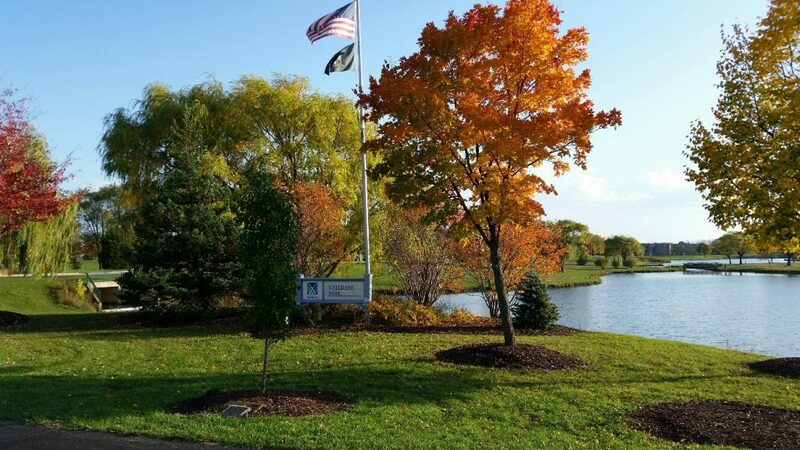 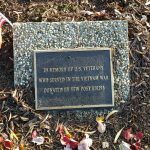 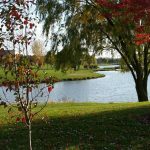 Established in 1989, Veterans Park is located on Lies Road, just west of Fountain View Drive, and surrounds Mitchell Lake/Klein Creek with about 1.6 miles of paved walking path. 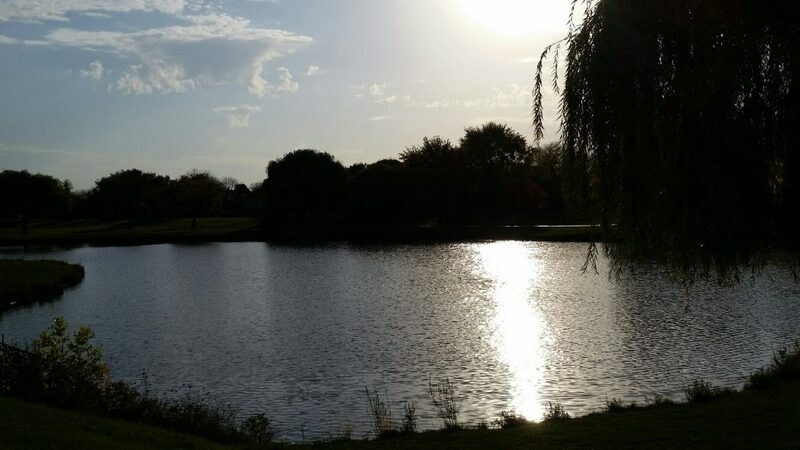 It’s ideal for fishing. 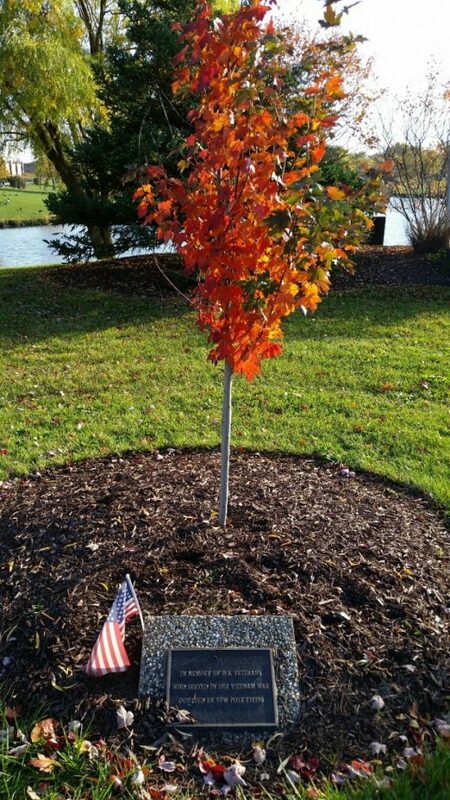 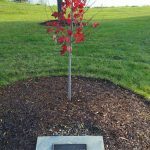 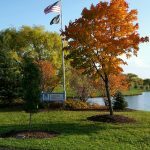 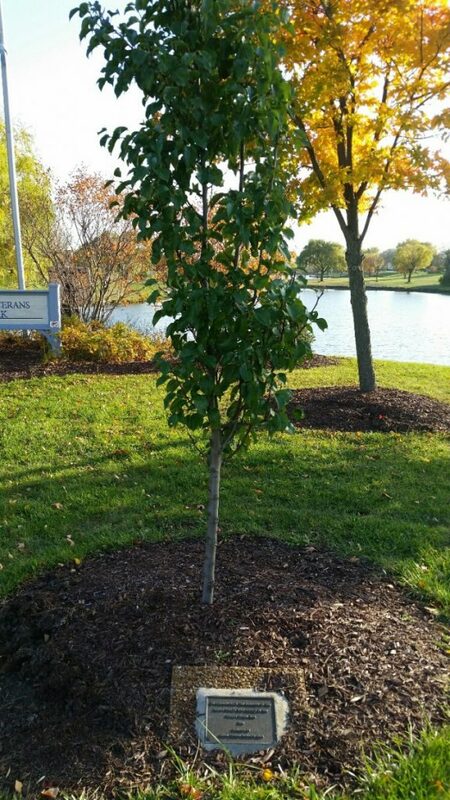 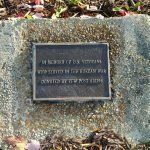 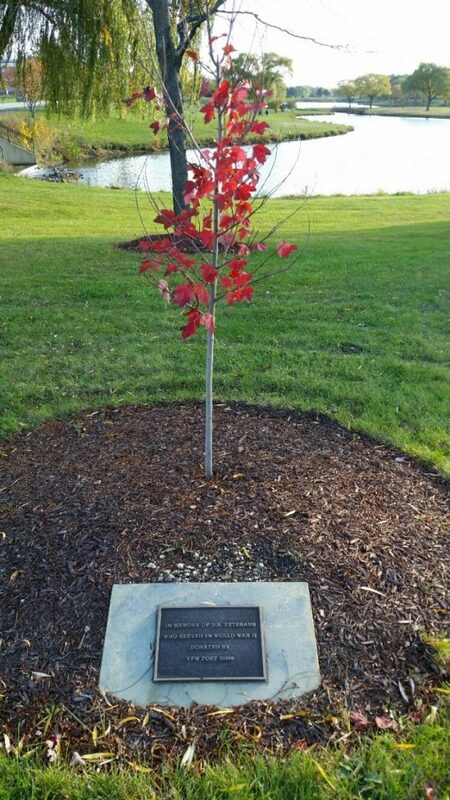 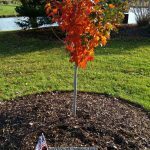 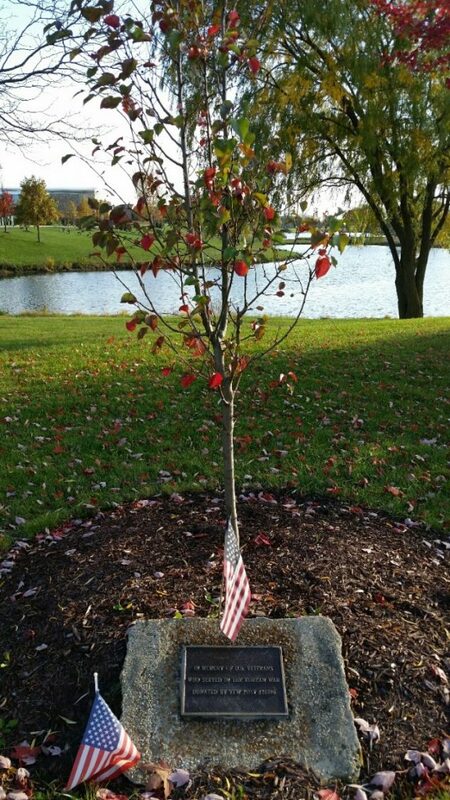 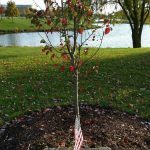 The American Flag stands tall; five trees and memorial plaques honor Veterans from World War 2, Korea, Vietnam, Desert Storm and Wars against terror. 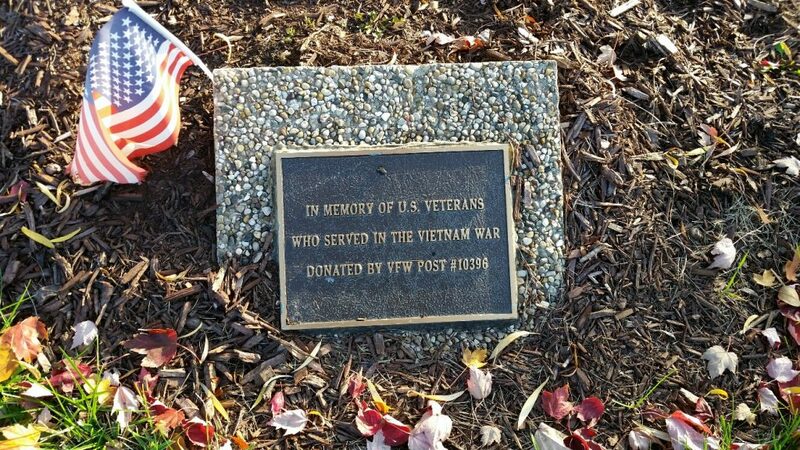 The local VFW places flags in the park every Memorial and Veterans Day to remember those who served. 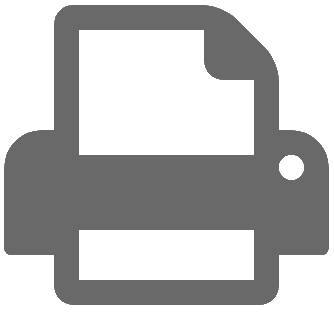 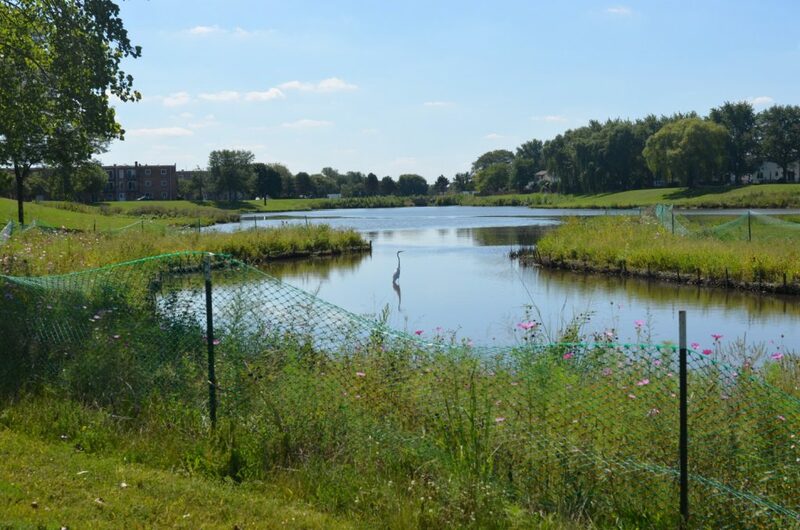 Fishing – The State of Illinois requires fishing a license from Illinois Department of Natural Resources. 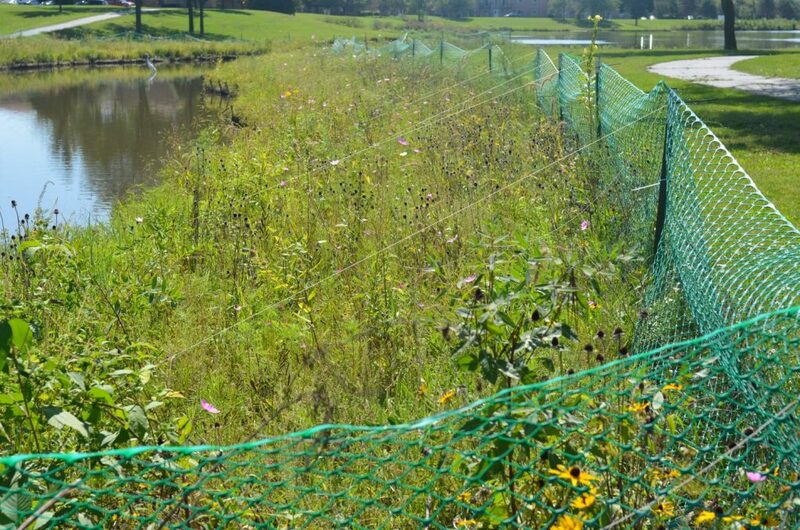 We encourage catch and release. 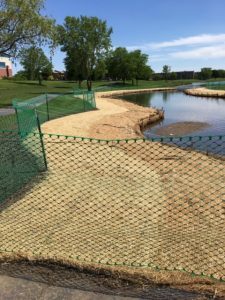 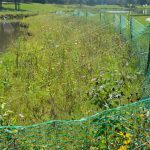 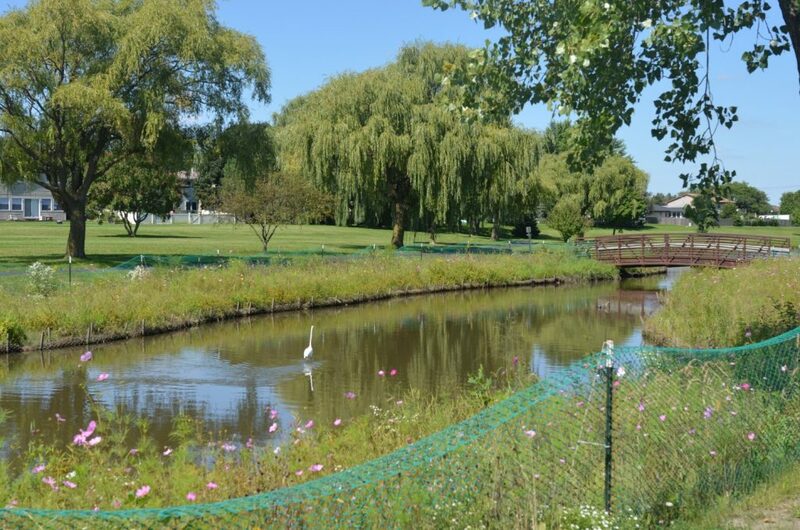 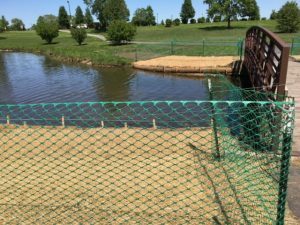 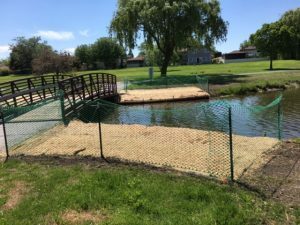 In an effort to distract the geese and stabilize/naturalize the shoreline at Veteran’s Park, we’ve restored the shoreline at the “channel” of the park. 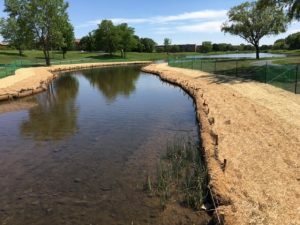 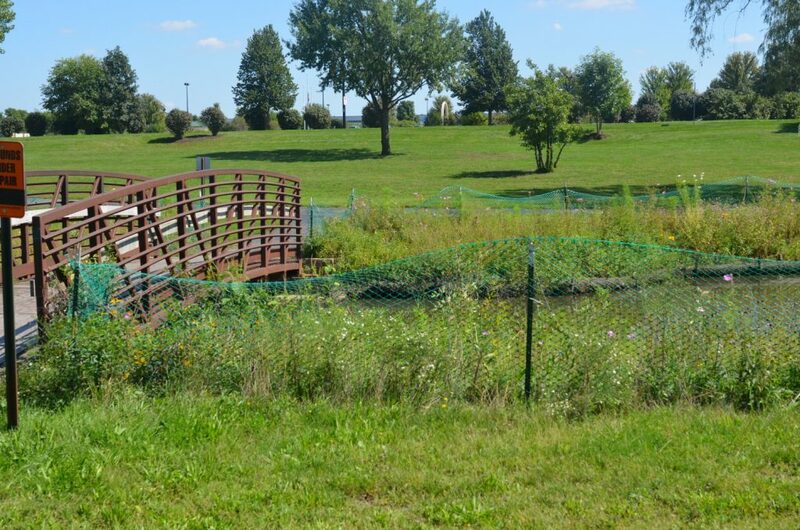 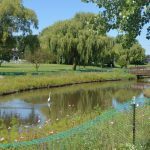 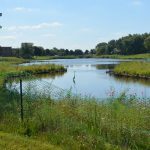 This project sets the example of what some of the other shorelines might look like. 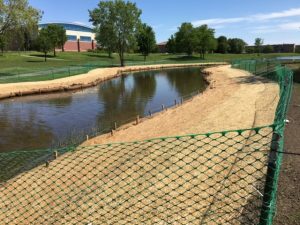 It discourages the geese and acts as a buffer to improve water quality along this corridor. 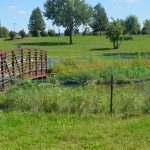 Eventually it will become appealing with a variety of plants and flowers that will attract butterflies and birds.